Dump Bodies For Sale | T.P. Trailers, Inc.
At T.P. 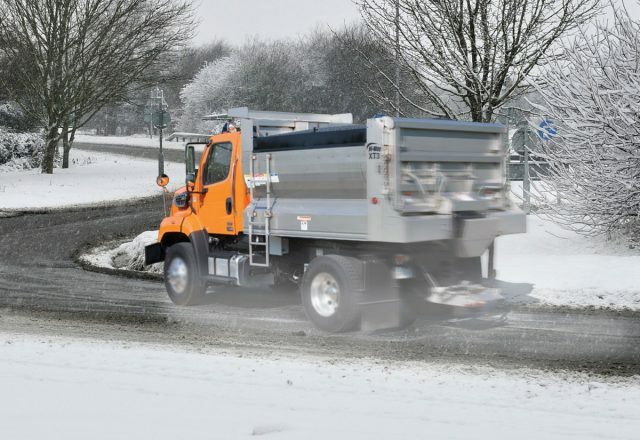 Truck Equipment, we offer several options for a durable dump body that can withstand the day-to-day needs of your commercial or municipal responsibilities. Our dump body manufacturers are some of the best in the industry; whether it is steel, stainless steel or an aluminum dump body that you are looking for, T.P. can help you with your specific dump body needs and questions. Highway’s Multi-purpose dump bodies are built for their versatility. Delivering the capability to dump with a telescopic hoist, spread and haul in one powerful machine. 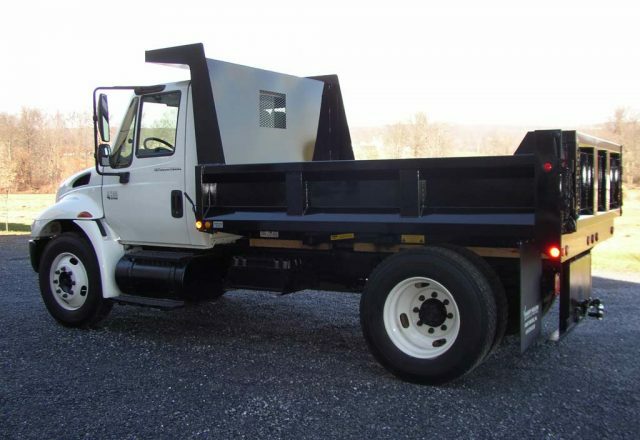 These bodies give you the convenience of getting the work of two trucks done with one alone, with the savings included. Call to ask about our dump bodies. At Iroquois Manufacturing, you will find quality and excellence. Their Brave Series come in steel and stainless steel, as well as a low-profile model. With a stylish aerodynamic design and the slanted ‘double pane’ tailgate with the pro-latch “quick release” tailgate system, Iroquois will stand to last longer and with better value. Also see why their Uni-body design is stronger and lighter. You may also build it your way with multiple options and features, call our sales representative to get your newest body suited to your needs. With Voth, find a custom designed body that fits ½ ton pickup trucks to 10 ton chassis. Voth dump bodies are made in high quality steel and coated with an epoxy primer and polyurethane paint or in natural aluminum giving you the ultimate finish to a durable body you need for the job! 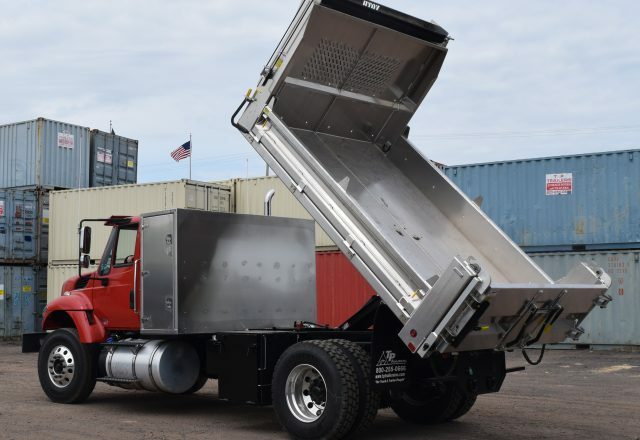 TruckCraft manufacturers multiple styles of aluminum dump bodies; if you are in need of a quality dump body, then TruckCraft is the place to be looking. 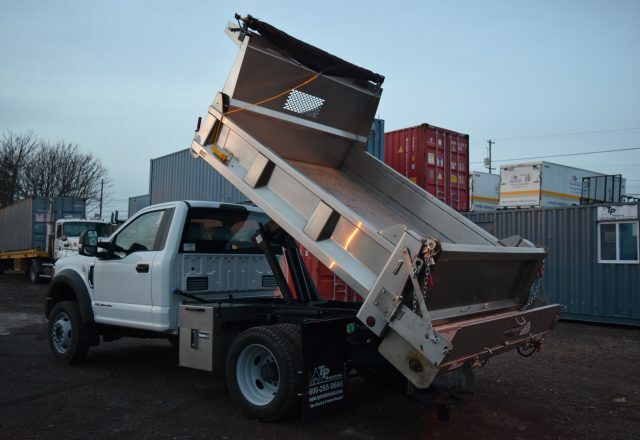 Here you will also find dump inserts in steel and aluminum for 6.5’ to 8’ beds that will quickly unload multiple materials such as sand, gravel, wood and more. You can’t go wrong when you choose TruckCraft, so call to see about making TruckCraft work for you! SH Truck Bodies has bodies for all needs; their reliable and strong brand of steel dump bodies are some of the best in the market. Standard features include regular duty dump bodies with 2-6 cubic yards capacity and come in lengths from 8’6” up to 12’ long. They also manufacture heavy duty mason dump bodies that range from 10’ to 12’ and can hold up to 9 cubic yards of material. Find out why SH Truck Bodies exceed expectations with a new body! Buyers Municipal Dump Spreader combines the dump body and spreader for year round use. It offers unique, roll-formed sides and cross memberless floor design to spread bulk sand, bulk salt or a combination of salt and sand. The spreader has a 30.25″ wide conveyor feed mechanism with 1/2″ bars on every link or a dual 7″ auger drive. This hydraulic truck is constructed of 304 stainless steel and comes available in 9′-15′ lengths. Call for more information on how to order yours. Cam Superline understands the need for a reliable work vehicle and their dump insert will keep you on the job. 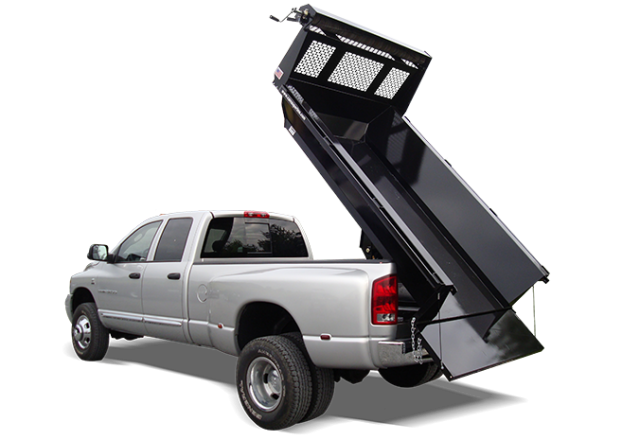 Manufactured with 12-gauge steel it includes a cab protector, double acting tailgate (removable) and stake pockets. Cam also has great upgrades that include galvanized inserts, tarp kits, and power-up/power-down cylinders. Find out the CAM difference with a new dump insert!